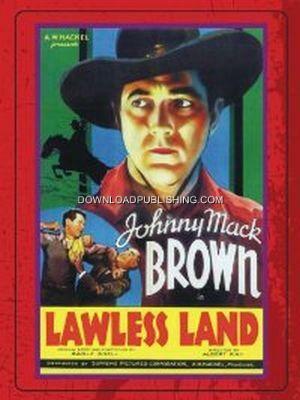 The Law Is Paralyzed and a Six-Gun Rules the Range...Until Johnny Mack Brown Thunders Into Action In His Most Exciting Adventures! Texas Ranger Jeff Hayden (Johnny Mack Brown), arrives in town just after his friend Sheriff Jim (Ed Cassidy), was shot and killed along with the Town Doctor. Ranger Jeff was coming to help the Sheriff with a Gang of Outlaws that have been giving him trouble. Letty Winston (Louise Stanley), also arrives in town, the Sheriff wanted to meet with her to tell her something. Ranger Jeff investigates the murders and goes after the Gang.